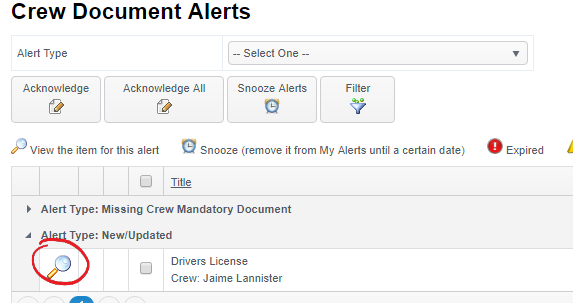 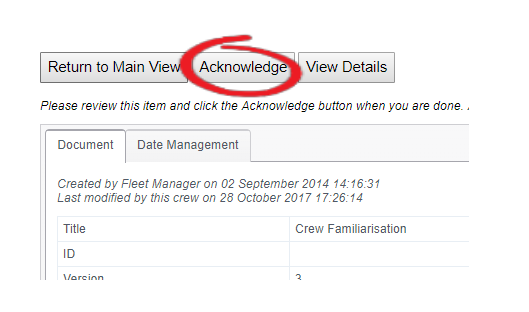 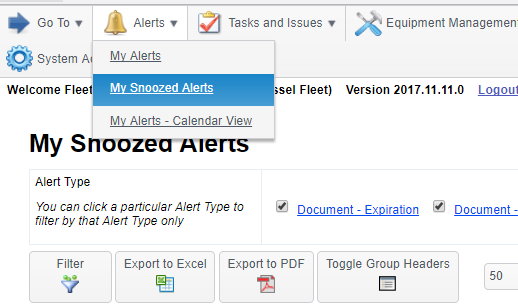 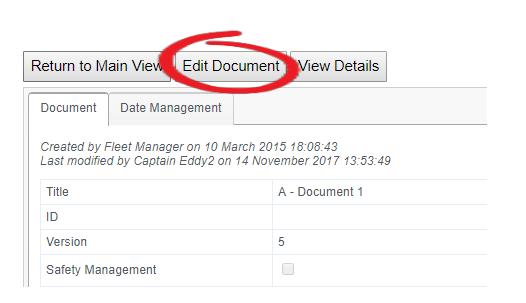 As we mention throughout this guide, alerts form a fundamental part of Manage My Vessel. 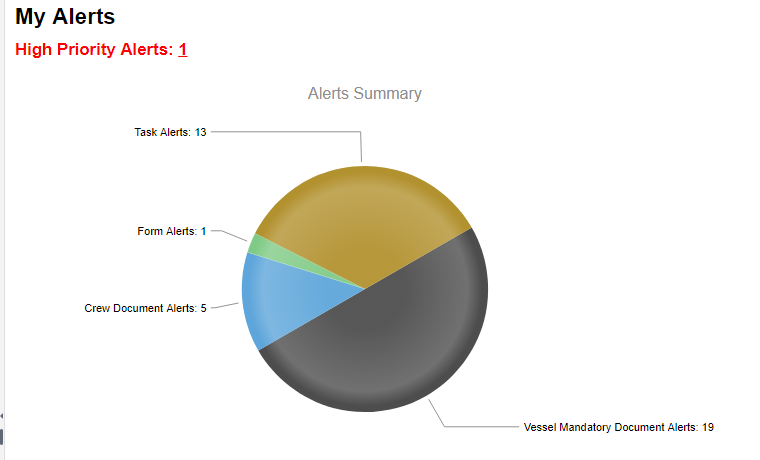 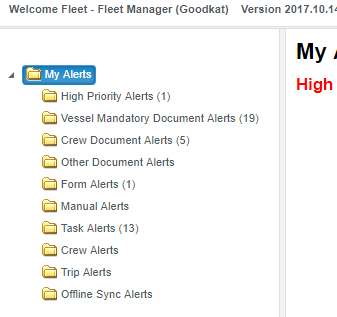 This section shows you how see the alerts you have received for a particular vessel and how to deal with them. 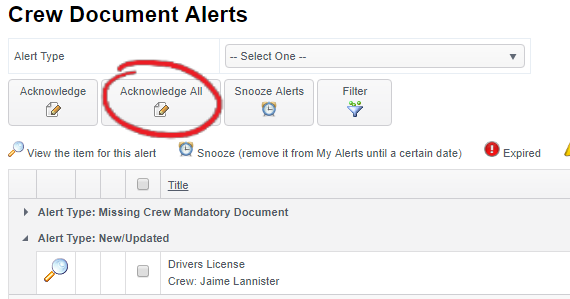 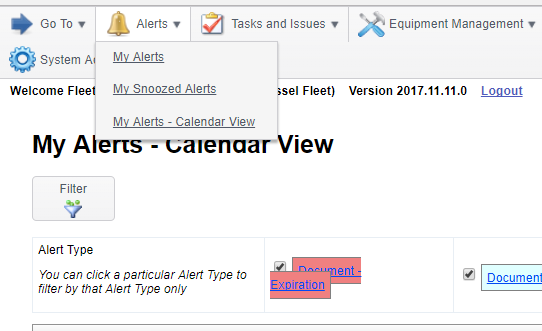 From the sub account menu you can click on 'Alerts' - 'My Alerts' to see all the active alerts that have been assigned to you.